Conservatories not only offer versatile accommodation, they are also the cheapest route to extra living space in your home and can be built far more quickly than a full-blown extension. Do make sure you ask your builder what is included in his quote – is it inclusive of flooring and electrics or will you be left with a bare shell? There is generally no requirement for conservatories to meet Building Regulations in England and Wales if they are separated from the rest of the house, for example by patio doors, the floor area does not exceed 30 square metres and it is not permanently heated. It is advisable to check with your local authority because other restrictions may apply in your area. 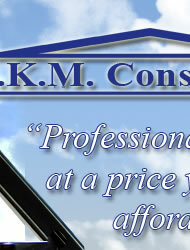 If you live in Scotland conservatories do have to comply with Part J of the Building Standards. Again, check with your local authority for full details. 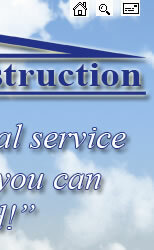 In England and Wales many conservatories will not need planning permission. For more details check out the Government's planning website at www.planning.odpm.gov.uk/householder. In Scotland, check out www.scotland.gov.uk/about/planning or call 08457 741741. Structurally speaking – how’s it made? Most conservatories will have a concrete foundation and floor slab, cavity brickwork lower walls with glazed upper walls and roof panels set within a framing system. A number of materials can be used for framing, uPVC being the most economical and therefore most commonly used, with aluminium, steel and timber offering alternative options. All will provide a good result, but achieving watertight joints with timber is more dependent on the skill of the installer, and uPVC may not be allowed on listed buildings or in conservation areas. Safety: For safety, toughened or laminated glass must be used throughout. Laminated glass offers added security benefits against break-ins and cuts out around 90% of the sun’s UV rays, which fade furnishings. Stay cool: To prevent overheating, particularly if your conservatory faces south, use solar control glass such as K2's Celsius Performance Glass or bronze polycarbonate panels for the roof. This can reduce the temperature by several degrees in the summer as well as reducing glare. 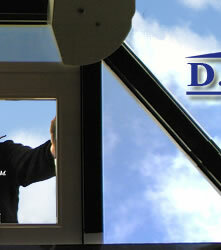 Some conservatory roof systems have ridge ventilation and roof lights that open automatically above a given temperature to allow air to circulate. You should also consider the position of windows and doors to allow a cross flow of air when open. Winter warmer: Fitting low-emissivity glass will add just two or three hundred pounds to the bill but significantly reduces heat loss during winter. Noise reduction: K2's Celsius Performance Glass offers dramaticaly improved sound reduction compared to 25mm polycarbonate sheets. Polycarbonate roof panels may be less expensive, but they are far noisier than glass when it rains, and can be real conversation stoppers in a downpour. 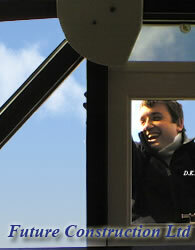 If you want to use your conservatory as a main living room it is worth paying extra for a glass roof.